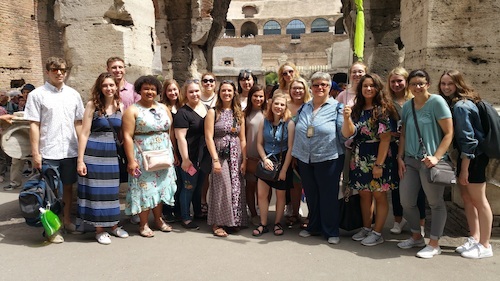 The Blouin Scholars Program in Global Studies at Walsh University provides students with a unique opportunity to become part of a community of students and faculty dedicated to using scholarship and service to address major global issues. Blouin Scholars live and take classes with a cohort of students who are similarly dedicated to become leaders in service to the global community. All classes are built into the Walsh University core curriculum–studentsstill choose their own majors and minors–and center on a common global theme.Blouin Global Scholars have access to opportunities such as global learning in Africa and Europe, special lectures and co-curricular activities, as well as priority registration and advising procedures.